Go to Wooden Spools in person or call the shop to sign up for the Follow Along. The cost is $10 to start. There are two ways you can participate. Option #1. If you live in town and can make it to Wooden Spools every month you will come to the shop on the First Saturdays of the month (9:30 am) for 5 months. 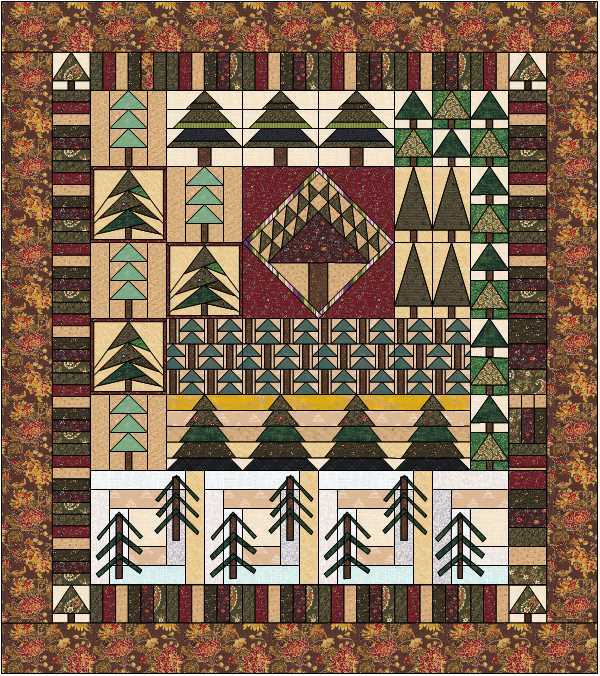 At the first gathering you will receive yardage lists for the entire project and instructions to make the first part of the quilt. You’ll have a month to make “Part 1” as you wait for the 1st Saturday when the 2nd part of instructions will be given. Bring back your Part 1 completed blocks and you will receive the next month’s pattern for free. If you are unable to complete your Part 1 blocks you can still come back and receive the next month’s instructions for just $5. Each month will be handled the same – bring your latest “part” completed and get the next month’s pattern instructions for free. Option #2. To make this even more exciting – here is the good news. If you live out of town or can’t come in on the first Saturdays, you can sign up with your email and after you pay the first $10, you will receive the first pattern by email. It will arrive Saturday afternoon after our In-Store class has met. Then each following month all you do is email me a picture of your project showing that you have completed each month’s blocks and the next month’s instructions will be emailed to you. We must receive your email by 10 am on Saturday with the photo and your name, to qualify for you to receive the next pattern for free. If you want to purchase any pattern, it can be done after 10 am on the first Saturday for $5. I am so excited to share this project with you and look forward to having lots of fun together as you create your own “My Little Forest”!